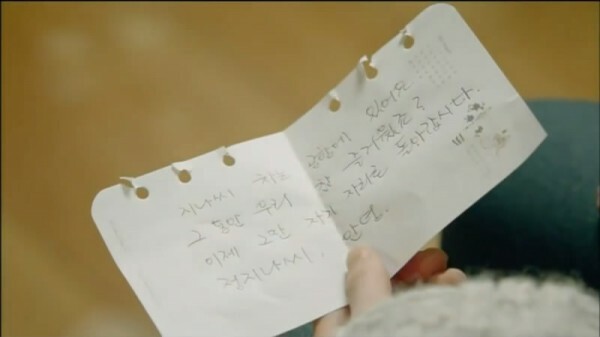 At the end of episode 16 of Padam Padam… The Sound of His and Her Heartbeats starring Jung Woo Sung and Han Ji Min, Kang Chil (played by Jung Woo Sung) wrote a farewell note on a paper to Ji Na (played by Han Ji Min). The note is of course written in Korean language (Hangul). If you’re interested in what’s the meaning of text written on the paper, here’s the English translation for the note. Miss Ji Na, the car is parked at the airport. We really have a good time for this period of time! Now let us return to our own position. Miss Jung Ji Na, goodbye.